Christopher Adam Daughtry (born December 26, 1979) is an American singer, songwriter and actor. He is known as the lead vocalist and rhythm guitarist for the rock band Daughtry and as the fourth-place contestant on the fifth season of American Idol . After his elimination from Idol, he was given a record deal by RCA Records and formed a band called Daughtry. Their self-titled debut album became the fastest selling debut rock album in Nielsen SoundScan history,  selling more than one million copies after just five weeks of release. The album was recorded before the band was officially formed, making Chris Daughtry the only official member present on the album. Daughtry is an American rock band formed and fronted by namesake Chris Daughtry, who was a finalist on the fifth season of American Idol. Their self-titled debut album was released in November 2006 and reached number one on the Billboard 200. The album went on to sell more than four million copies in the United States, and has been certified quadruple platinum by the RIAA. Daughtry was also named the best selling album of 2007 by Billboard, becoming the fastest-selling debut rock album in Nielsen SoundScan history. The album produced four top 20 hits on the Billboard Hot 100, including top five hits "It's Not Over" and "Home". The fifth season of reality television singing competition American Idol began on January 17, 2006, and concluded on May 24, 2006. Randy Jackson, Paula Abdul and Simon Cowell returned to judge, and Ryan Seacrest returned to host. It is the most successful season to date ratings-wise, and resulted in 18 contestants getting record deals – nine of them with major labels. It was the first season with a male winner and a female runner-up. Theory of a Deadman is a Canadian rock band from Delta, British Columbia. Formed in 2001, the band is currently signed to Roadrunner Records as well as 604 Records. The band also includes traits of other music styles, such as country and acoustic, as well as their post-grunge and alternative rock base. They have had eight top 10 hits on the US Billboard Hot Mainstream Rock Tracks chart, including three No. 1 hits, "Bad Girlfriend", "Lowlife" and "Rx (Medicate)". Roanoke Rapids is a city in Halifax County, North Carolina, United States. The population was 15,754 at the 2010 census. It is the principal city of the Roanoke Rapids Micropolitan Statistical Area, and is also a part of the Golden East metro area. Lasker is a town in Northampton County, North Carolina, United States. The population was 122 at the 2010 census. It is part of the Roanoke Rapids, North Carolina Micropolitan Statistical Area. Palmyra is a census-designated place (CDP) in and the county seat of Fluvanna County, Virginia, United States. The population as of the 2010 census was 104. Palmyra lies on the eastern bank of the Rivanna River along U.S. Route 15. The ZIP code for Palmyra and surrounding rural land is 22963. At age 16, Daughtry started taking singing seriously as a musician. He took guitar lessons from blues rock guitarist Matt Jagger at Stacy's Music store in Charlottesville and Mark Ebert from Laurinburg, North Carolina. He sought advice from Andy Waldeck (frontman for Earth to Andy) who is credited first on his debut album. He performed with rock bands during his time in high school at local venues, opening for his future bandmate Brian Craddock's band My Dog Lucy and Matt Jagger. 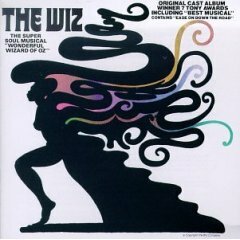 During high school, he appeared in two stage productions: The Wiz and Peter Pan . Earth to Andy was an American alternative rock band from Charlottesville, Virginia. Daughtry's high school band went by the name of Cadence. He sang lead vocals and played rhythm guitar. They produced one album, All Eyes on You (1999), a rare piece that can sometimes be found on eBay. Daughtry later sang lead vocals and played rhythm guitar for rock bands in Burlington such as Absent Element. eBay Inc. is an American multinational e-commerce corporation based in San Jose, California that facilitates consumer-to-consumer and business-to-consumer sales through its website. eBay was founded by Pierre Omidyar in the autumn of 1995, and became a notable success story of the dot-com bubble. eBay is a multibillion-dollar business with operations in about 30 countries, as of 2011. The company manages the eBay website, an online auction and shopping website in which people and businesses buy and sell a wide variety of goods and services worldwide. The website is free to use for buyers, but sellers are charged fees for listing items after a limited number of free listings, and again when those items are sold. Burlington is a city in Alamance and Guilford counties in the U.S. state of North Carolina. It is the principal city of the Burlington, North Carolina Metropolitan Statistical Area, which encompasses all of Alamance County, in which most of the city is located, and is a part of the Greensboro-Winston-Salem-High Point CSA. The population was 50,042 at the 2010 census, which makes Burlington the 17th largest city in North Carolina. The Metropolitan Statistical Area population was over 150,000 in 2010. In 2005, Chris Daughtry auditioned for the CBS singing contest Rock Star: INXS . He did not make the cut for the live performances. Former Daughtry drummer Joey Barnes was at the same audition and made the cut only to drop out of the running due to disagreements regarding the contract. After leaving American Idol, Daughtry traveled the talk show circuit, which has become commonplace for non-winners as American Idol progressed through the years. He made appearances on The Tonight Show , Total Request Live , and The Today Show . He also appeared on Live with Regis and Kelly and The Ellen DeGeneres Show , in which he performed "Wanted Dead or Alive". In a later episode of the show in which Ellen interviewed former presidents Bill Clinton and George H. W. Bush, who were collaborating on the Bush-Clinton Katrina fund, she even jokingly asked if anything could be done about Chris Daughtry's elimination. Chris Daughtry was asked to audition as the lead vocalist for Fuel and, though incredibly flattered, he declined the offer in order to form his own band. For the week of June 10, 2006, Chris Daughtry's cover of "Wanted Dead or Alive" charted at number 43 on the Billboard Hot 100, being named the Hot Shot Debut of the week. On July 10, 2006, it was announced that Daughtry had signed with 19 Entertainment and RCA Records and began working on an album that was to be released in November. It was also announced that, like season 4 rocker Constantine Maroulis, he would be forming his own band. His band was formed under the name Daughtry, after the singer's last name. 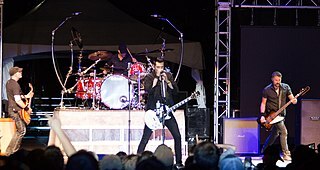 The band currently consists of Chris Daughtry, guitarists Josh Steely and Brian Craddock (the latter replaced former guitarist Jeremy Brady in 2007), bassist Andy Waldeck replacing Josh Paul at the end of 2012 (formerly of Suicidal Tendencies), and drummer Robin Diaz (who replaced former drummer Joey Barnes in 2010). In 2012, Elvio Fernandes joined Daughtry playing keyboard and singing backup vocals. Daughtry's debut album was released on November 21, 2006. Chris Daughtry reportedly told US Weekly that the band's album "would not be... pop." The first single off Daughtry , "It's Not Over", was released November 21, 2006. The album reached number one in Billboard Charts with his debut album. He joins Carrie Underwood, Kelly Clarkson, Clay Aiken, Scotty McCreery, and Ruben Studdard as the only contestants to reach number one in Billboard 200. [ citation needed ] The album featured Velvet Revolver and former Guns N' Roses guitarist Slash, who performed the guitar solo on the eventual single "What I Want". On September 19, 2007 on ABC, Viva Las Vegas premiered, which was a tribute to Elvis Presley's career in Las Vegas. Daughtry performed an acoustic version of "Suspicious Minds". On November 18, 2007, the band was the winner of multiple awards at the "2007 American Music Awards" (ABC Television). The winning categories were: 1) Pop or Rock: Favorite Album - Daughtry; 2) Adult Contemporary Music: Favorite Artist; 3) Favorite Breakthrough Artist. On December 6, 2007, the band was nominated for four 50th Annual Grammy Awards: Best Rock Album for Daughtry , Best Rock Song for "It's Not Over", Best Pop Performance by a Duo or Group With Vocal for "Home", and Best Rock Performance by a Duo or Group with Vocals for "It's Not Over". On May 6, 2009, Daughtry performed "No Surprise", the debut single for their forthcoming album, on American Idol . Chris Daughtry wrote the song with Nickelback vocalist Chad Kroeger. The album on which "No Surprise" appears, Daughtry's second album titled Leave This Town , was released on July 14, 2009. Chris Daughtry made history with its release by becoming the first American Idol alumnus to have two consecutive number one albums. Leave This Town was the first Daughtry album that they wrote and recorded as a band, as their self-titled album was recorded before the band was officially formed and featured only Chris Daughtry as an official member. On December 31, 2010, Daughtry tweeted that the band will be working on a new album soon. On March 7, 2011, he tweeted that the album sounds nothing like the previous two and will feature a song titled "Spaceship." There will be another song on the record called "Rescue Me", which the band has performed on stage in New Jersey. 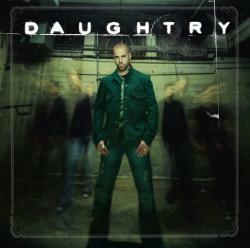 The album would be released on November 21, 2011, according to Daughtry's Twitter. Daughtry has written and recorded a song for the soundtrack to the video game Batman: Arkham City . On September 5, 2011, Daughtry tweeted that the song "Drown In You" is exclusive to the soundtrack and will not be featured on his upcoming album. On September 27, 2011, Daughtry announced that the new album will be titled Break the Spell . On September 17, 2013, Daughtry announced on their website that the new album was titled Baptized . In 2010, he and Jason Wade performed a duet on Lifehouse's fifth studio album Smoke & Mirrors on the song "Had Enough". Chris Daughtry also co-wrote the song "Send Me All Your Angels" for American Idol season 8 winner Kris Allen's debut album. He later performed lead vocals on the cover Def Leppard's song "Photograph" with Carlos Santana on Santana's album called Guitar Heaven: The Greatest Guitar Classics of All Time . It was released on September 21, 2010, with a performance on the Dancing with the Stars results show that day. Chris Daughtry and fellow Idol contestant Ace Young have been friends since they met at the show's Denver auditions, and even periodically shared an apartment as finalists. Young said they clicked because they shared similar upbringings and were both "big on family." Ryan Seacrest had also dubbed them "the Ben Affleck and Matt Damon of the season" when the two were placed in the "bottom 2" together upon Young's elimination. In the final episode of the season, a clip of them in a "Best Male Bonding" segment was also shown. Chris Daughtry's musical influences include Creed, Bush, Live, Nirvana, Pearl Jam, Green Day, Alice in Chains, Soundgarden, Stone Temple Pilots, Journey, Bon Jovi, and Fuel. He states that he grew up on rock and hard rock music. Ace Young is an American singer, songwriter, and actor. He gained national recognition while appearing on the fifth season of American Idol. Young is married to American Idol season-three runner-up Diana DeGarmo. The sixth season of American Idol premiered on the Fox Broadcasting Company as a two-night, four-hour premiere special on January 16 and January 17, and ran until May 23, 2007. Simon Cowell, Paula Abdul, and Randy Jackson returned to judge once again, and Ryan Seacrest returned as host. A new record of 74 million votes were cast in the finale round, and a new record of 609 million votes were cast in the entire season. Jordin Sparks won the competition with Blake Lewis as the first runner-up and Melinda Doolittle finishing third. Jordin Sparks is also the youngest winner of the competition, winning at age 17, as well as the first winner from outside the Southern United States. Sparks remained the last female winner until the twelfth season. Daughtry is the self-titled debut studio album by American rock band Daughtry, the band formed and fronted by American Idol fifth season finalist Chris Daughtry. It was released on November 21, 2006, by RCA Records. The album is the fastest-selling debut rock album in Soundscan history and the band's best-selling album. "It's Not Over" is the debut single by American rock band Daughtry, taken from their self-titled debut studio album. It was certified Platinum in April 2007. As of August 2007, it was in the top 10 digital selling songs of the year. Charles Christopher Sligh is an American singer; songwriter and producer who was a finalist on the sixth season of American Idol, finishing in tenth place. He also starred in October Baby. 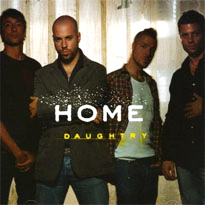 "Home" is a 2007 song by American rock band Daughtry from their self-titled debut album. The song had been climbing up the U.S. charts for a few weeks before the song was announced as the second single from the album. The song was covered by Irish musician Kian Egan that serves as the lead single from his debut album with the same name. Idol Gives Back is the name of a charitable campaign that spanned two episodes of American Idol during its sixth season. A second Idol Gives Back concert and fundraiser occurred on April 9, 2008, during the seventh season of the show. Idol Gives Back was not held in 2009 due to the economic crisis and recession. The executive producer released a statement saying that it was not the time to be asking for money from the American public. However, the fundraiser returned on April 21, 2010 during the top 7 results show of season 9. It did not return in future seasons. The seventh season of American Idol, the annual reality show and singing competition, began on January 15, 2008 and concluded on May 21, 2008. Ryan Seacrest continued to host the show with Simon Cowell, Paula Abdul, and Randy Jackson returning as judges. David Cook was announced the winner of the competition on May 21, 2008, defeating runner-up David Archuleta by a margin of roughly 12 million votes out of over 97 million, which was at that time the highest recorded vote total in the show's history. The split was 56% to 44%. Angels & Devils is the fourth studio album by American rock band Fuel. Released on August 7, 2007, it was their first studio effort since 2003's Natural Selection and was the last Fuel album to feature original songwriter/guitarist, Carl Bell and bassist Jeff Abercrombie. No musician on this album is still with the band. It was also Fuel's only studio album to feature new vocalist Toryn Green, and their final album for Epic Records. With a new singer, the album also introduced a new Fuel logo. 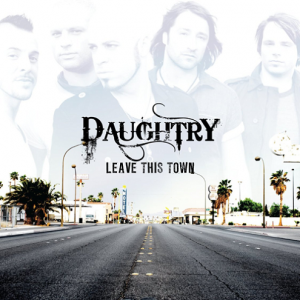 Leave This Town is the second studio album by American rock band Daughtry, released through RCA Records and 19 Entertainment on July 14, 2009. It is the first album that they recorded as a band, as their self-titled debut album was recorded before the band was formed and only lead singer Chris Daughtry was signed to the label; it was also their last album to feature Joey Barnes on drums. The album's style is primarily arena rock, with influences ranging from hard rock to pop rock. Haley Suzanne Scarnato is an American singer who was the 8th-place finalist on the sixth season of American Idol. Scarnato announced in an interview in November 2009 that her album Strongheart was scrapped after she left her management, but that she is working on a new album and "Strongheart" was her old management's idea. Elise Nicole Testone is an American singer and songwriter from Mount Pleasant, South Carolina. She placed sixth on the eleventh season of American Idol. Her debut album In This Life was released in February 2014. Candice Rickelle Glover is an American R&B singer and actress who won the twelfth season of American Idol. Glover is the first winner to have auditioned three times before being cast for the live shows. Her debut album Music Speaks was released on February 18, 2014. The fifteenth season of American Idol, also branded as American Idol: The Farewell Season, premiered on the Fox television network on January 6, 2016. Ryan Seacrest continued as the show's host, while Jennifer Lopez, Keith Urban, and Harry Connick, Jr. returned as judges. Scott Borchetta also returned as the in-house mentor. This season was four to six weeks shorter than seasons 2 through 14. On April 7, Trent Harmon was announced as the season's winner and La'Porsha Renae was the runner-up. Harmon was the third consecutive winner to never be in the bottom two or three, and the eighth male winner in nine years. ↑ Macias, Chris (August 19, 2007). "Rock on! ; A guide to the rest of the music-packed week". Sacramento Bee (California). pp. TK22. ↑ "Whose album is the fastest selling debut rock album in Soundscan history?". Funtrivia.com. Retrieved 12 February 2016. ↑ "Fluvanna Review - Daughtry then and now". Fluvannareview.com. Retrieved 12 February 2016. ↑ "TV Guide, TV Listings, Online Videos, Entertainment News and Celebrity News | TVGuide.com". Online.tvguide.com. 2011-02-13. Retrieved 2016-02-12. ↑ Ho, Rodney (April 25, 2006). "American Idol: 25 days to final: Who's who on eBay", The Atlanta Journal-Constitution , p. E1. ↑ "Chris Daughtry says no to Fuel gig - today > entertainment - Reality TV - TODAY.com". MSNBC. Retrieved 2016-02-12. ↑ "Measuring the busy signal". DialIdol.com. 2007-03-25. Archived from the original on 2016-02-16. Retrieved 2016-02-12. ↑ Armstrong, Josh (August 19, 2009). "Daughtry to Leave This Town". KnowTheArtist.com. Archived from the original on August 3, 2011. Retrieved March 30, 2011. ↑ "'American Idol' rocker Chris Daughtry signs record deal". Usatoday.com. 2006-07-10. Retrieved 2016-02-12. ↑ "Rock Sensation Daughtry to Perform on Indy 500 Race Day | IndyCar Series". Auto Racing Daily. 2007-05-24. Archived from the original on 2008-12-20. Retrieved 2010-06-01. ↑ "Chris Daughtry on Twitter". Twitter. Retrieved 12 February 2016. ↑ "Album Stream: Day Of Fire | tunelab™". Tunelab.com. 2010-01-25. Retrieved 2016-02-12. ↑ Nudd, Tim. "Chris Daughtry Lands a Role in Fox's Scripted Series Studio City". People.com. Retrieved March 26, 2015. ↑ Andreeva, Nellie (May 8, 2015). "'Studio City' Creator & Star Confirm Pilot Is Dead At Fox, Hint It Will Be Shopped". Deadline.com. Penske Business Media, LLC. Retrieved May 12, 2015. ↑ Slezak, Michael (January 28, 2016). "Chris Daughtry Cast as The Passion's Judas, Telenovela Star to Play Jesus". TV Line. TVLine Media, LLC. ↑ "Interview: Chris Daughtry On Drawing 'Batman' And His Love Of Comics". UPROXX. ↑ "Chris Daughtry To Draw Variant Cover For Batman #50". DC Comics News. ↑ "Search Results: Order: Relevance - Year - Country". ↑ "Home - Daughtry". Daughtry. Archived from the original on 3 August 2009. Retrieved 12 February 2016. ↑ West, Latoya (2006-04-21). "Ace Young Says He Would "Step In Front of A Moving Train" For Chris Daughtry". About.com. Archived from the original on 2008-07-06. ↑ release, Official. "ESPN and NBA announce celebrity rosters and coaches for 2019 NBA All-Star Celebrity Game presented by Ruffles exclusively on ESPN". NBA.com. Retrieved 2019-02-11. ↑ Stacia Proefrock. "3 Doors Down | Biography & History". AllMusic . Retrieved 2016-02-12. ↑ "Daughtry". Rolling Stone. Retrieved 12 February 2016.